"Care partner” evokes a relationship based on cooperation and common goals. It’s a two way street, fostering person-centered care and mutual feelings of purpose. 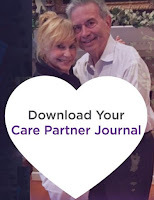 In this free booklet, Brookdale Care Programs offers helpful hints, practical suggestions, checklists and tables to help make your journey as care partners easier.